DAVID LE/Staff photo. 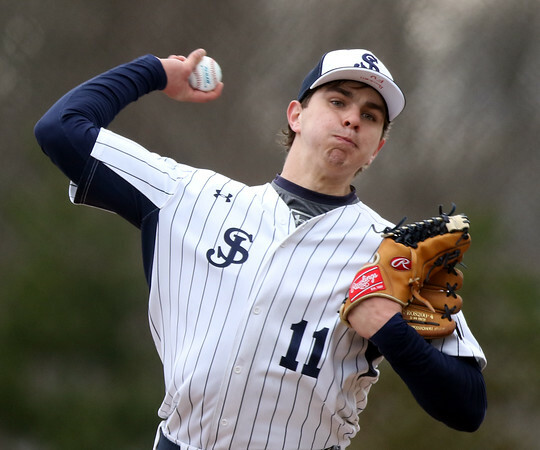 St. John's Prep senior Brendan Powicki fires a pitch against Peabody on Saturday afternoon. 4/8/16.